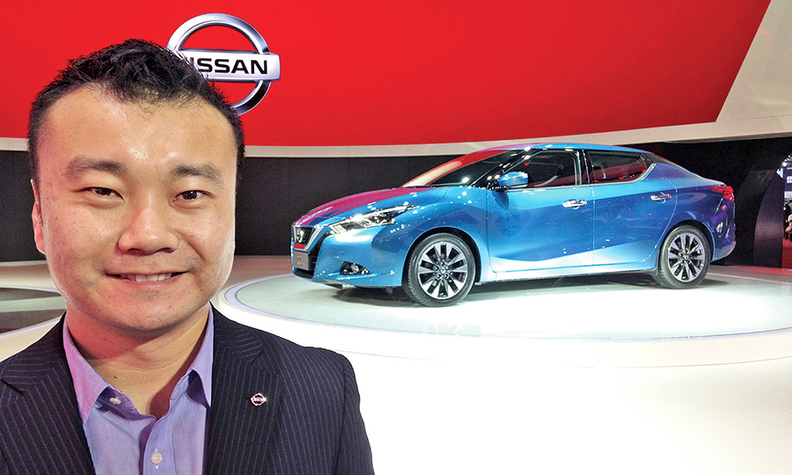 John Zheng, chief engineer of the Nissan Lannia, says designers sought to push the envelope with the new car. SHANGHAI -- If the design of Nissan's newest car for China looks in-your-face, over-the-top and brash with no apologies, well, so is the latest consumer trend it aims to tap. Nissan thinks its designed-for-China Lannia sedan mirrors that mood perfectly with a head-turning design even the chief engineer acknowledges probably wouldn't fly in other markets. The Lannia goes on sale in China -- and only China -- this autumn. The car debuted at this year's Shanghai auto show, and won the show's Best New Model to Come award. "They grew up in a period in which China experienced tremendous growth in its economy and in its influence in the world. They grew up with a very different mentality, that they don't need to follow more developed countries like Europe, the U.S. or Japan," says John Zheng, 38, the Lannia's chief engineer. "We set our own trends. We're the new China. We're strong. We want to express ourselves. They want to stand out. Everything is me-centric. It's about me." "Literally it [baqi] means menacing, a little bit mean and aggressive," Zheng said. "It looks very mean. That's the initial impression we want to give. It's directly related to baqi." Nissan picked China native Zheng to lead a team of engineers tasked with tailoring the Lannia specifically to Chinese tastes. A team of 20-something designers, all from China, styled the car. The lead designer was the only one over 30. "One of the most debated points was styling," Zheng recalled. "How far we wanted to push Lannia actually did unsettle a few nerves." It is difficult for foreigners to keep up with the latest trends of China's younger generation, Zheng said, hence the importance of empowering young Chinese staffers to make the calls. "We really had to educate our Japanese counterparts," he said. "The challenge for our team is really to keep up with the young Chinese who are changing constantly. We had to react very quickly," Zheng said. "We had to throw away our original specs for the IT system quite a few times to keep up with the latest trends."